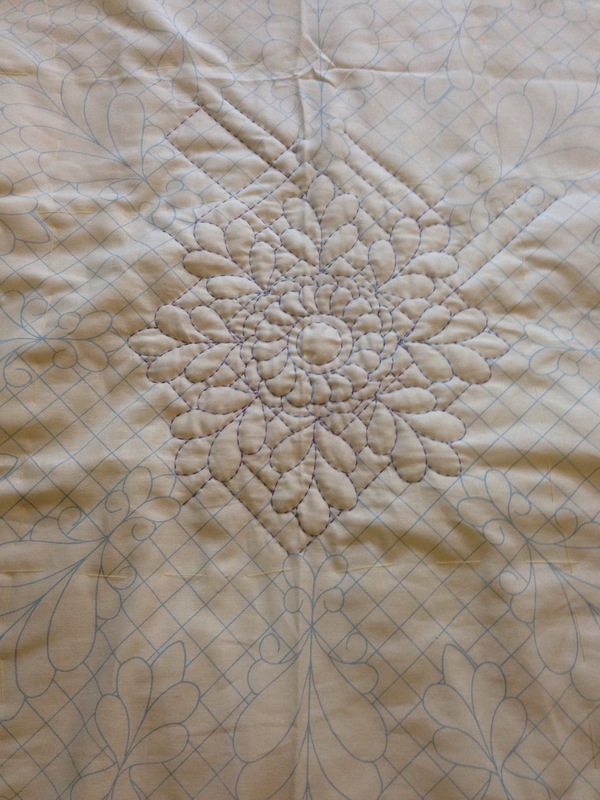 My hand quilting is still progressing. It’s been a while since this project has been worked on, over a year at least. I noticed it in my craft room, pulled it out & I have been working away. I still have lots to do!!! I will try not to wear a hole in my finger, I’m not good with thimbles & leather finger guards drop off. 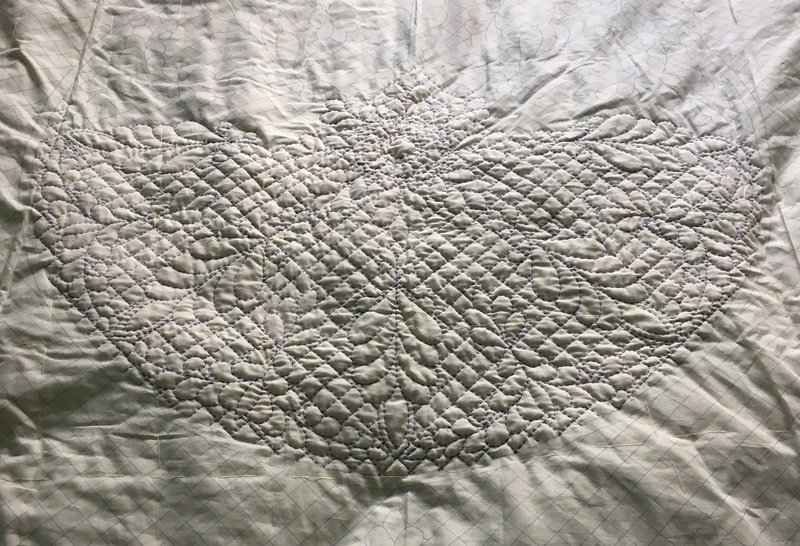 Anyway hand quilting makes a mindless stitching change. This year I’ve taken the time to make a cover for my teacher planner. 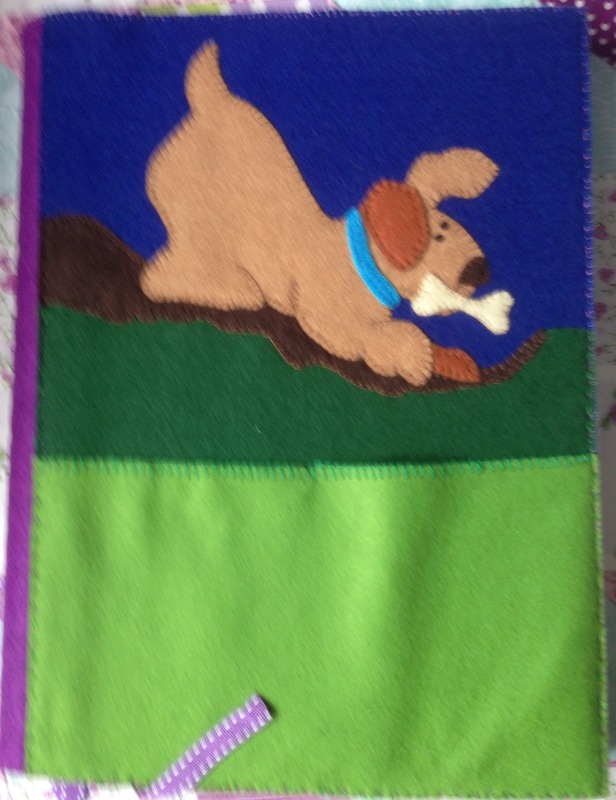 It’s made out of felt, lucky the rectangles were exactly the right size for the front & back. 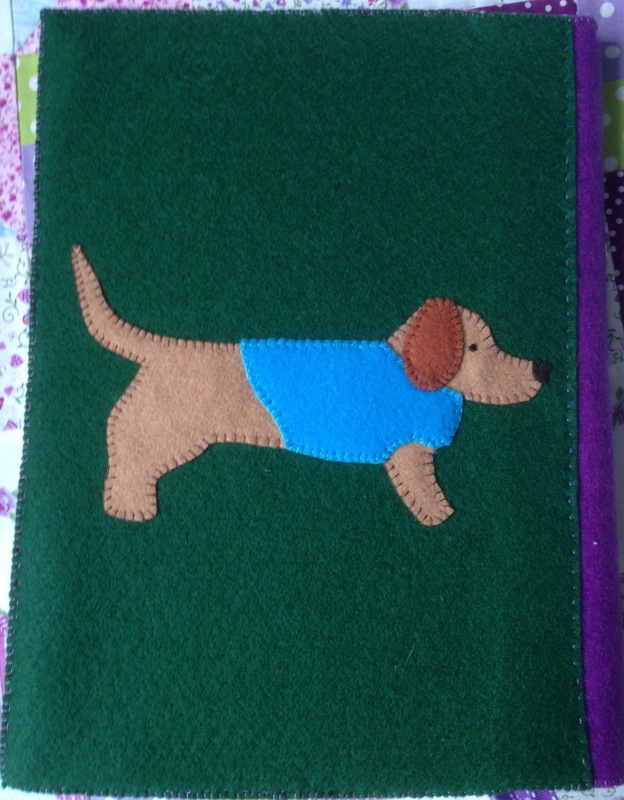 I made a handy pocket on the front for perhaps as small note book or I may add some stitching lines & turn it into a pen minded. The cover flaps will make hand pockets of all those bits of paper I loose throughout the year. The last few years I’ve added stickers so I can recognise mine, as our school insists on everyone having the same colour. I like to be different so I customised mine. This is one of my new projects. I’m really enjoying this one at the moment, just tiny quilting running stitch, I will update each time I have to unroll & repin. It came ready printed, I just must not get it wet, otherwise the printing will come off. 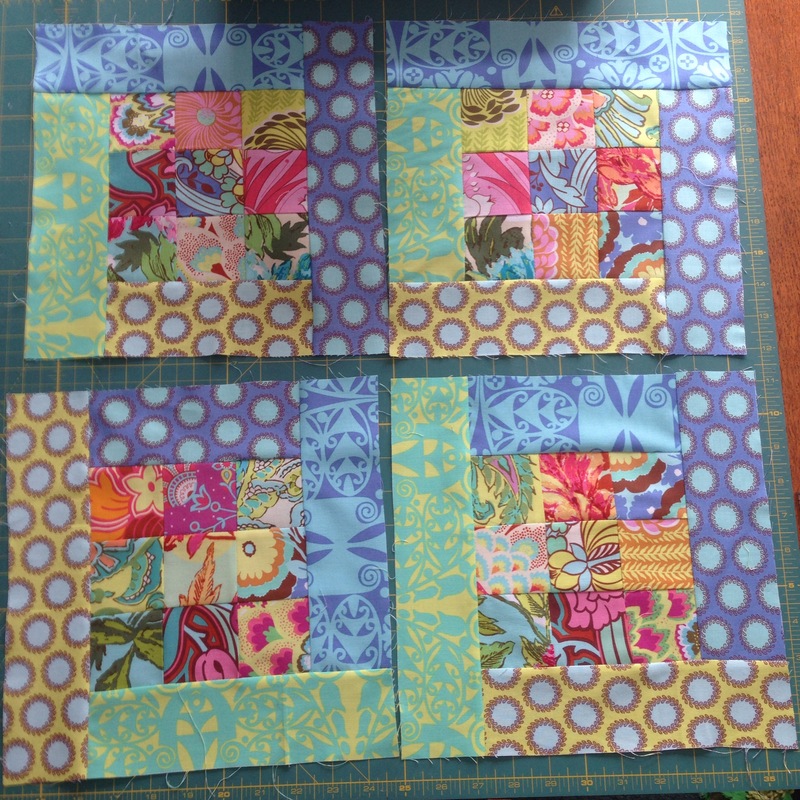 I’m using a variegated purple quilting cotton. Here’s what I’m aiming for. I’ve found a replacement for my the Pooh cross stitch, from my UFO project box & will share this hopefully for the next update. The table runner is finished, I’ve just got to finish tidying up & I’m still working on my chair seat covers. I’m supposed to be working on my exam assignment for the course I’ve been following, so I had better get on with it. Here’s the table runner that matches the chair seat covers. 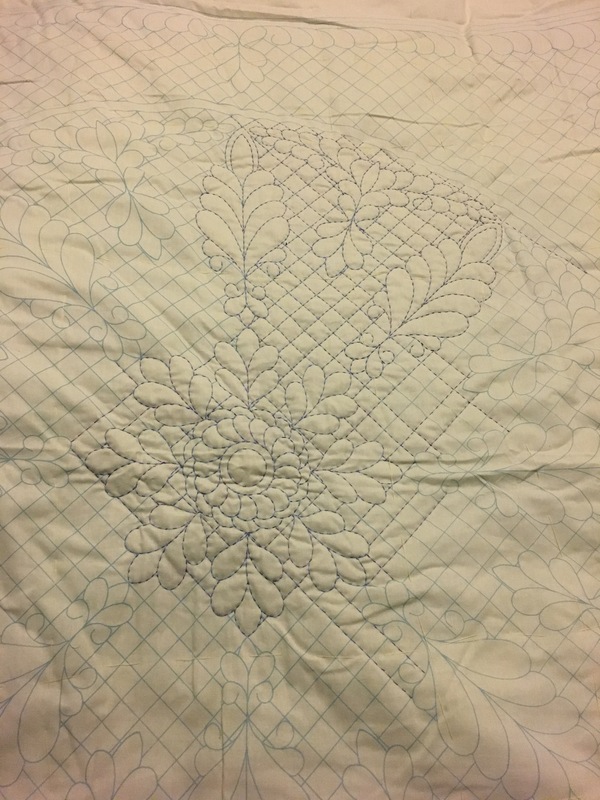 I started quilting yesterday. Decorating is now finished. The only problem now is trying to put everything back. We are also attempting to sort things out as we go. Where does all the stuff come from?? ?it seems to take over the whole house! I’ve brought some bunting & a printed quilt panel( perhaps this answers the question, as I also brought some bunting for my room & a couple of space quilt panels for the lab wall, because I liked them!) 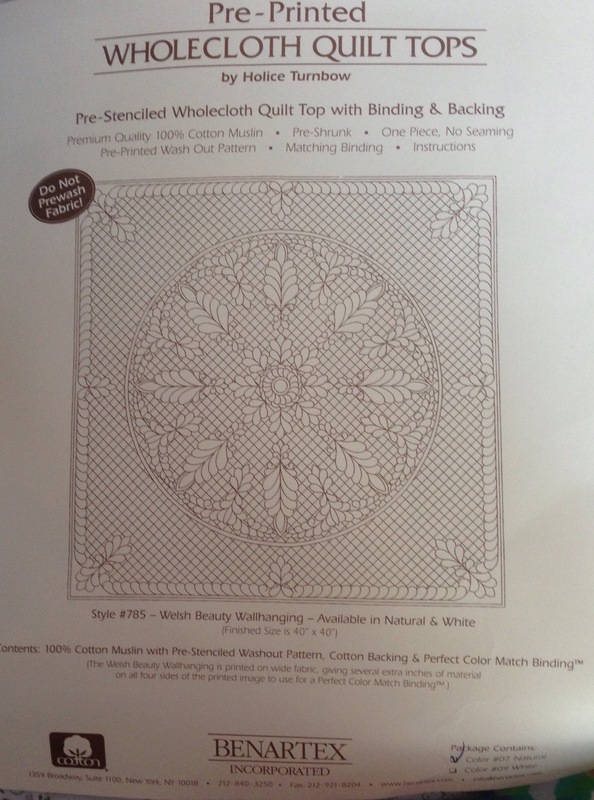 Mum has found out some wolf fabric to make Stephen a quilt. We found Stephen’s old wolf quilt panel, so now we need sticky Velcro for the wall. At least we can sit down & walk around a bit more with out falling over. I’ve been putting my new small class sized sewing machine through its paces this week to find out what it can do. Mum brought me an Soul blossoms jelly roll & pack of fat quarters ( still unused!) for my birthday last year. I’m making some chair seat covers & a table runner for the dinning room. These are the patch work part of my chair seat covers. I’m in the process of joining all the nine patches together to make the runner. I’ve now got to remove the old fabric chair seat cover & replace it with cotton, next job find staple gun. Although it’s been hot here Luna has taken to wearing a Tshirt , she had heat rash under her arms, it stops her scratching it. 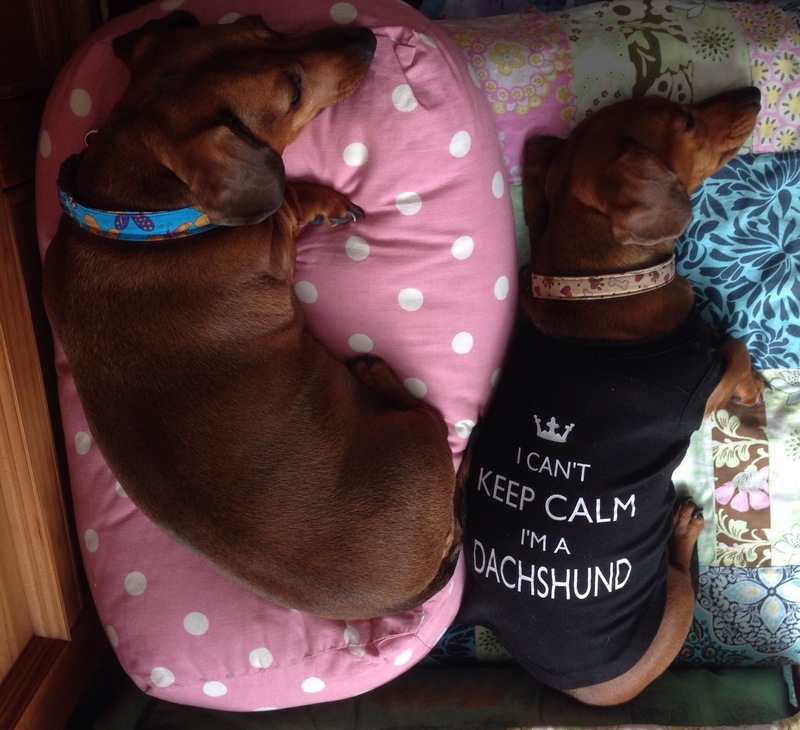 She is so funny about it, a new one arrived today, she kept pestering until I put it on her.